Here is a demo/slideshow by Resistance, released in 2017 at the Alchimie 17 demoparty. This slideshow was made in memory of LeonBli, a great pixel artist & Amiga enthusiast that left us this summer. 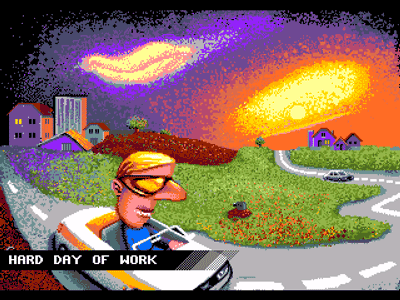 All pixel paintings done by LeonBli, on the Amiga computer. We had to process some of them to fit into the Megadrive specs. Good art and demo! Thanks to LeonBli and Resistance.